Whether for little ones or adults, the Isle of Man has great studios to train and nurture all levels. 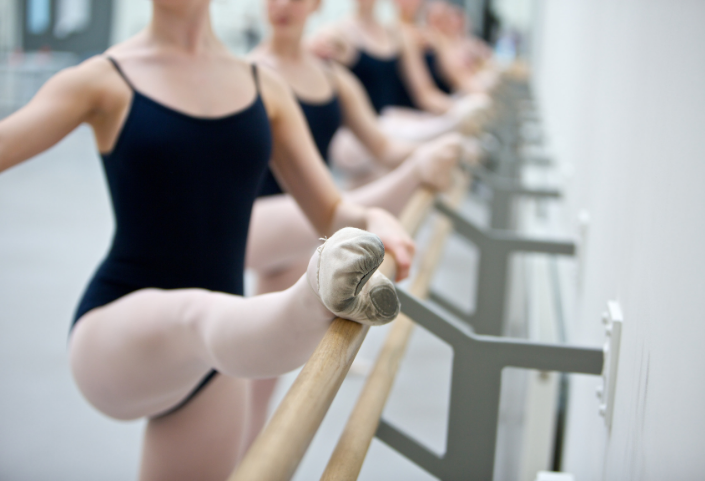 The Academy of Dance - Isle of Man specialises in Education in Dance, offering training in classical ballet, modern, contemporary and GCSE Dance. Learn to dance in a fun, social way with Ceroc. Their fusion of a wide range of different dance styles is easy to learn, sociable and fun, and can be danced to any music with a regular beat. Located in Peel, Gena’s Dance Academy offers ballet, tap, modern, jazz, Zumba and other dance and fitness classes for both children and adults. An audition only dance company for teen dancers. Manx dancing is alive and well in the Isle of Man and you are invited to join in the fun. Beginners are welcome and there is even a special low rate if kids want to join in on the fun! An Irish Dance school located in Douglas, Manx Trinity Academy of Irish Dance welcomes students of all ages and competes around the UK. Located in Onchan, Move It offers classes in a variety of disciplines including modern, ballet, cheer and acro. Their competition and performance teams have wowed audiences. They also offer fitness dance classes for adults. Onchan Entertainers have 5 troupes ranging from age 3+ to 30+. They train once a week (twice when competitions are near) and travel off Island twice a year to compete in the UK. Learn Ballroom and Latin dance at Richardson’s. Private group lessons are available for children and adults. Students may compete and progress through medal tests. They also offer wedding dance lessons and choreography as well as classes tailored for cruise and party dance. This ladies only fitness centre is located in Douglas and boasts classes in pole and hoop. Discretion, privacy, fitness and fun are the top priorities for Savina’s Secret along with small class sizes and an inclusive environment. Offering swing dance classes in Douglas and Ramsey, Swing in the Isle offers classes, socials and events for all levels. Unity is a new and welcoming dance school that offers fun, relaxed dance classes with a friendly atmosphere. Children’s classes are available in a variety of disciplines as are adult fitness classes.